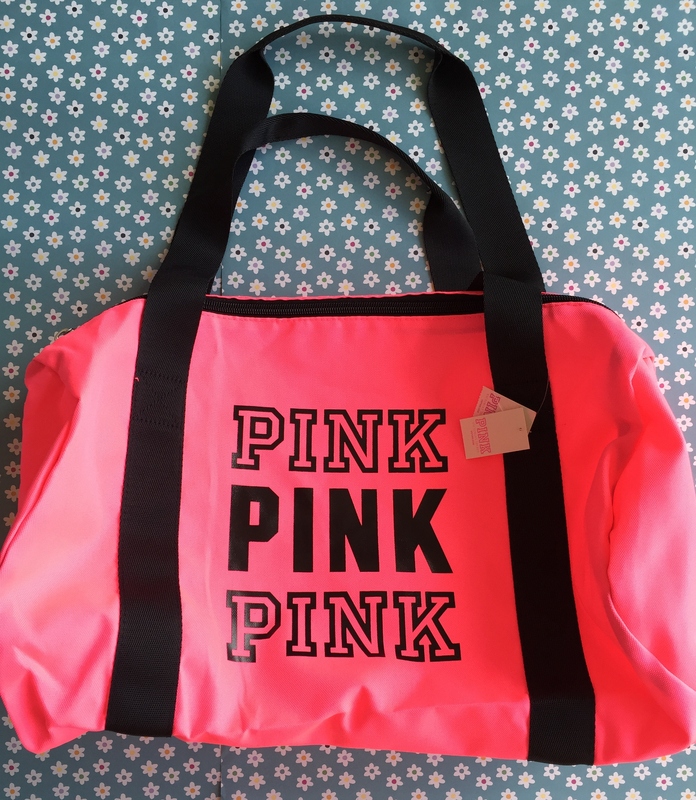 It’s been a while since I posted a clothing haul however recently I popped into Victoria’s Secret Pink and well I have a confession to make, I did some serious damage!! I absolutely love the clothing within the Pink range as it’s so comfy, cosy and such good quality that lasts for ages. I picked up quite a few bits and pieces for my vacation and the best part was that if you spent over £100, you were given a sports bottle and bag for free. Yes people, for free!! The bag costs £26.50 and the bottle £16. I’ve been searching for a sports bottle with a built in straw for ages! I absolutely love it plus it holds so much water that I know I’m now drinking enough of the recommended daily intake. There’s usually always an offer on instore for a freebie as in the past I’ve managed to get my hands on an overnight bag and beach towel, so keep a look out. My main goal was to find an outfit for my flight. Am I the only one that plans an outfit for the plane?! Surely not. 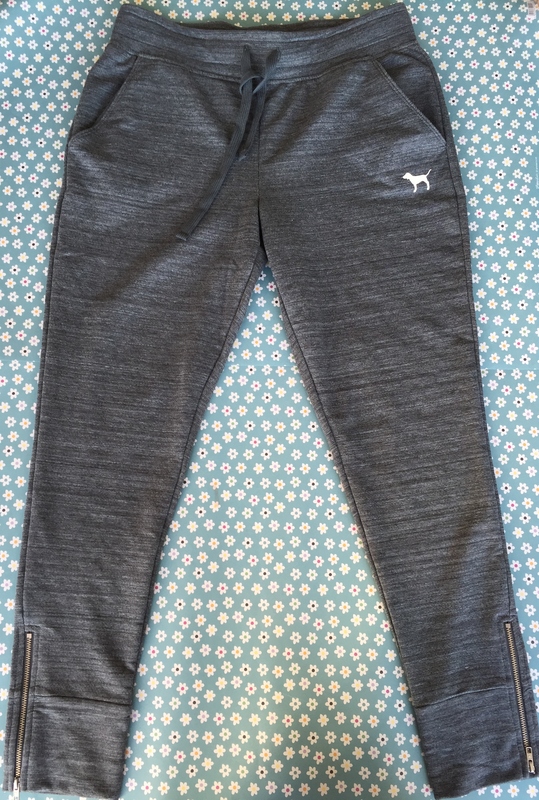 I picked up some awesome super comfy stretchy jogging bottom leggings. I bought two pairs in different shades of grey as I love them so much. They’re very flattering and they hold their shape well, including after an 11 hour flight. The hoodies are quite thick with a fluffy warm interior. I fell in love with the purple preppy half zip top. The colours compliment each other and I like that fact that there is no motif on the back, only the front. It looks rather sophisticated compared to some of the others instore. 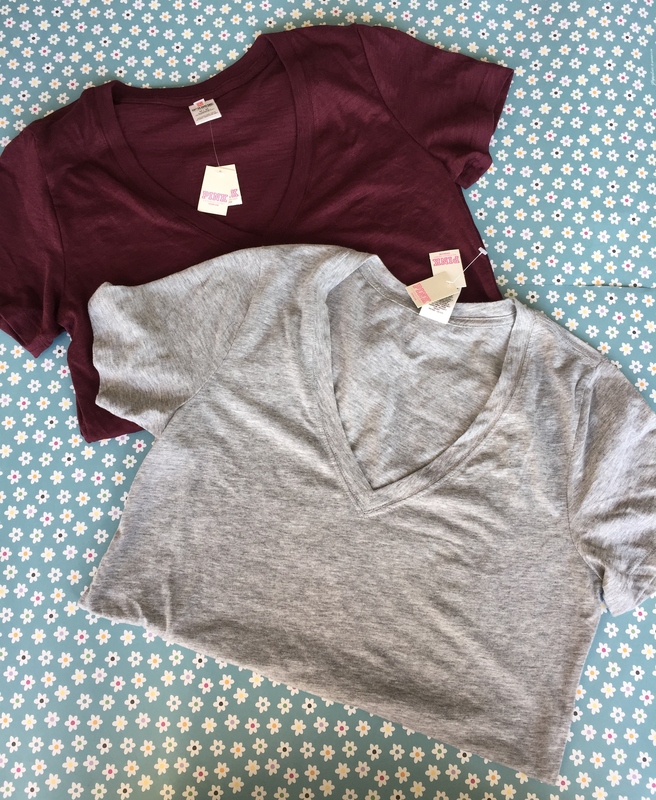 I picked up some classic V neck T Shirts which are a super soft stretchy cotton. These are great as again you can wash them as many times and they never lose their shape nor go bobbly so they always look like new. They’re very comfortable to wear and are not too low at the neck. Finally I picked up some briefs. Victoria’s Secret and Pink always have new designs and colours which makes it hard not to buy more. I absolutely love the vibrant colours in these. You can buy five pairs for £20 which means one pair is free. Bargain! I hope you enjoyed this haul. 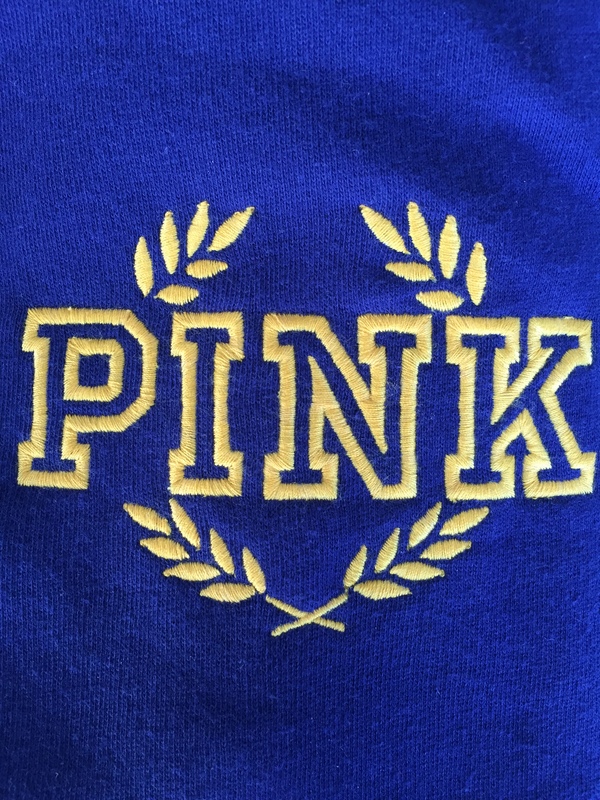 Let me know your thoughts and whether you are partial to a little spending spree in VS/Pink. 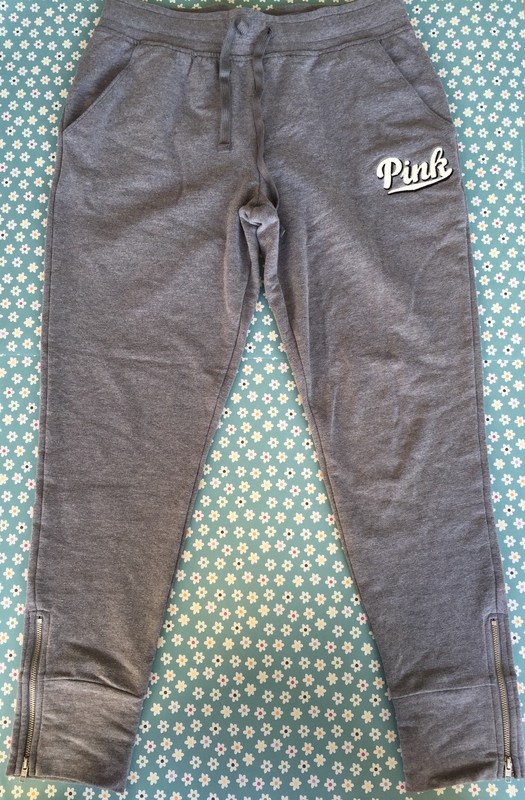 Oh Man I love the VS Pink range, its so gorgeous and comfy too! 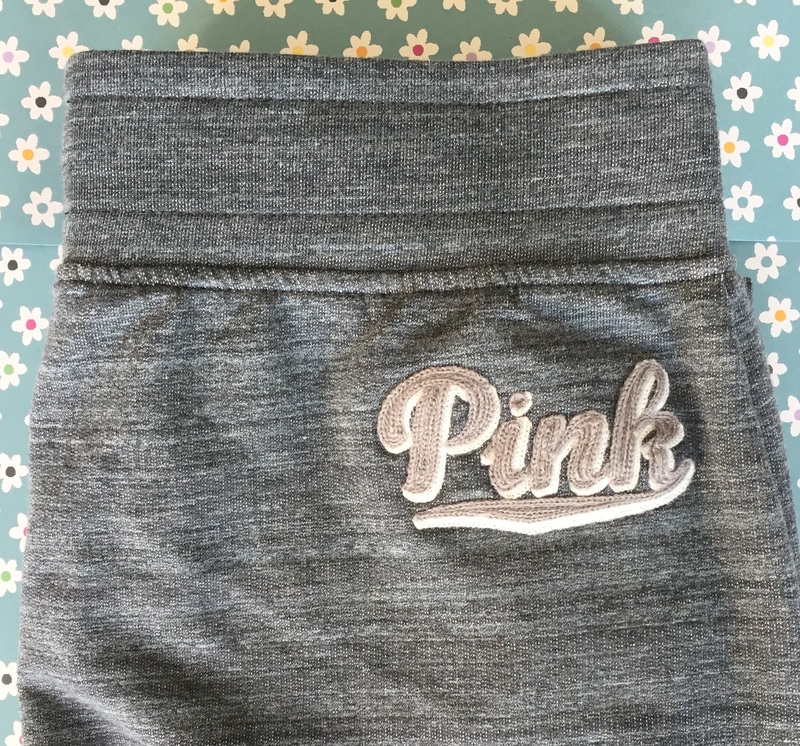 I love the Pink fleece leggings. They are so perfect for traveling! 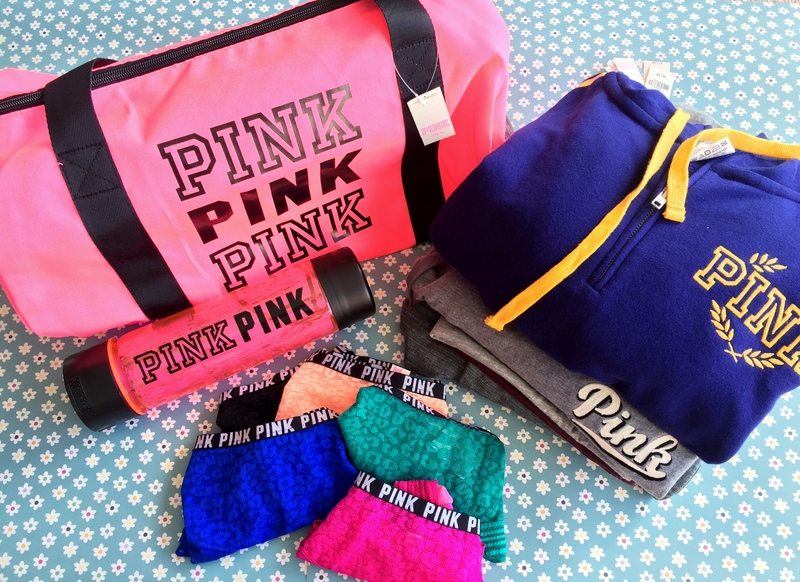 Um… I want all of this! You can never have enough Pink products. Wow~ This Victoria’s Secret PINK range seems very comfortable and fun to wear!